LABUAN (Dec 19): The Ministry of Transport (MOT) had issued a letter to revoke the licence of an operator of the Labuan-Menumbok ferry service, it was learnt today. 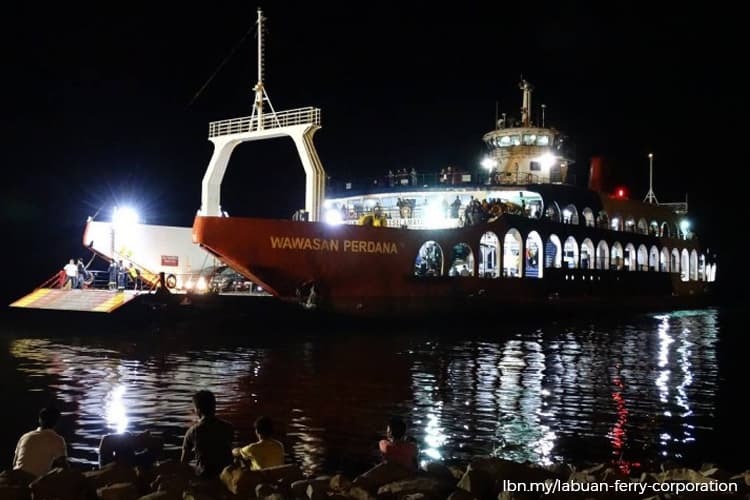 The revocation letter was issued to long-time ferry service provider Labuan Ferry Corporation Sdn Bhd on Oct 25, with the reasons being it had been wound up by the Labuan High Court and that it had not complied with the safety requirements. The letter stated that the MOT received notification from the Sabah Ports and Harbour Department on the court wind-up of the company and the Department of Insolvency subsequently confirmed that the wind-up took place on Feb 6, 2017. The MOT also received a safety inspection report on Oct 2 from the Labuan Marine Department, on the MV Wawasan Perdana ferry operated by the company, which stated that it did not comply with the safety aspect requirements. The ferry operator had provided the service for over a decade, initially operating two ferries – Wawasan Perdana and Warisan – but ceased using Warisan. Wawasan Perdana is also currently under repair. With the revocation of the licence, the ferry service between Labuan and mainland Sabah is now handled by two operators – Juta Bonus through its only ferry Galaxy, and Labuan Mainland Link Sdn Bhd through its three ferries, namely Kimanis 1, Putrajaya 2 and Goodwill Star. Sabah Ports and Harbour Department director Capt Abel Ongkunik, who confirmed the revocation of the licence, said public notification through the media was important to prevent the illegal sale of Labuan-Menumbok-Labuan ferry tickets by irresponsible parties in view of the festive season and school holidays.